Related Content: What is an Attribution Link? 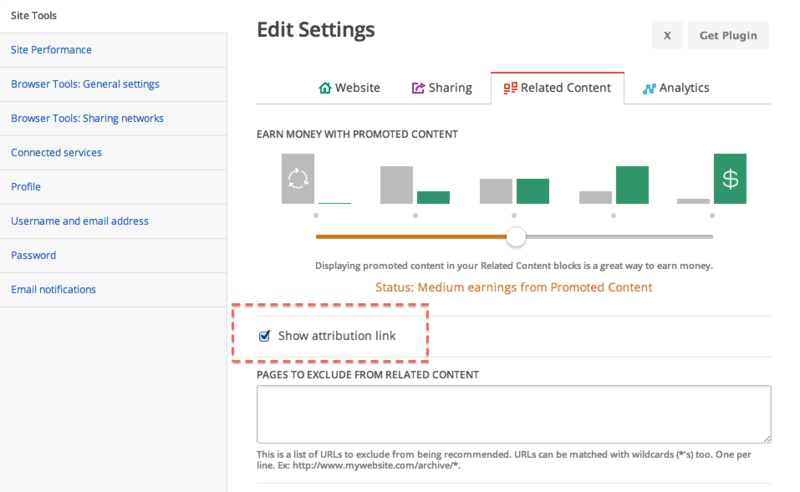 You may have noticed a checkbox in your Related Content settings that reads "Show Attribution Link." Selecting this check box means that a small Shareaholic logo will display at the top right corner of your Related Content app. Clicking on the icon will take them to this page containing details about the Shareaholic Related Content app. Why do you have an attribution link? Showing the service that's driving your related content is a discrete way to let your readers know what tools you're using to deliver related posts. Sharing is caring! 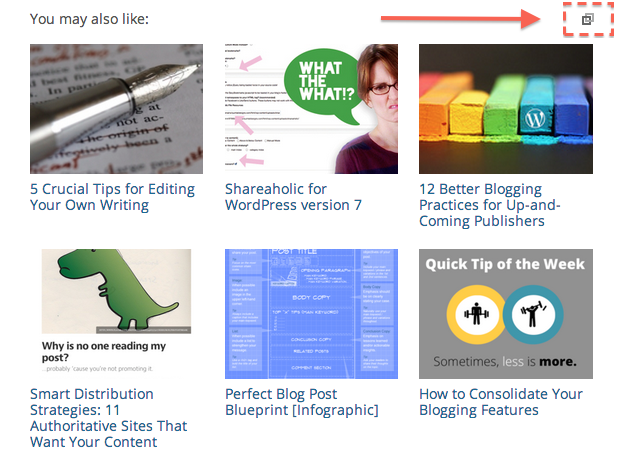 How do I remove the Shareaholic logo from Related Content? It's easy! Just go to Site Tools > Settings > Related Content and de-select the "Show Attribution Link" Check box. If you're using the WordPress Plugin, go to App Manager, click the large green button in the right menu, then follow the steps above. How do I find my Facebook Pixel ID?